These seriously rich and decadent Chocolate Caramel Cupcakes look they’ve come straight from the bakery. 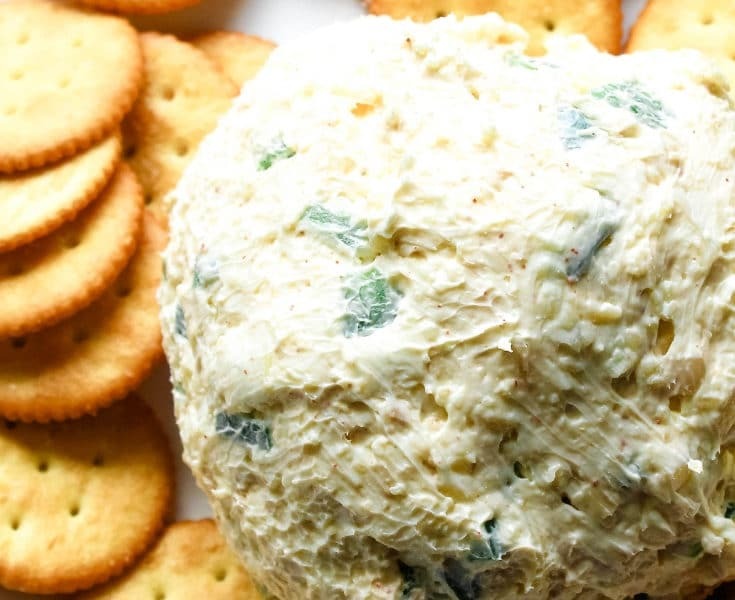 When you want to seriously impress your guests (or yourself! 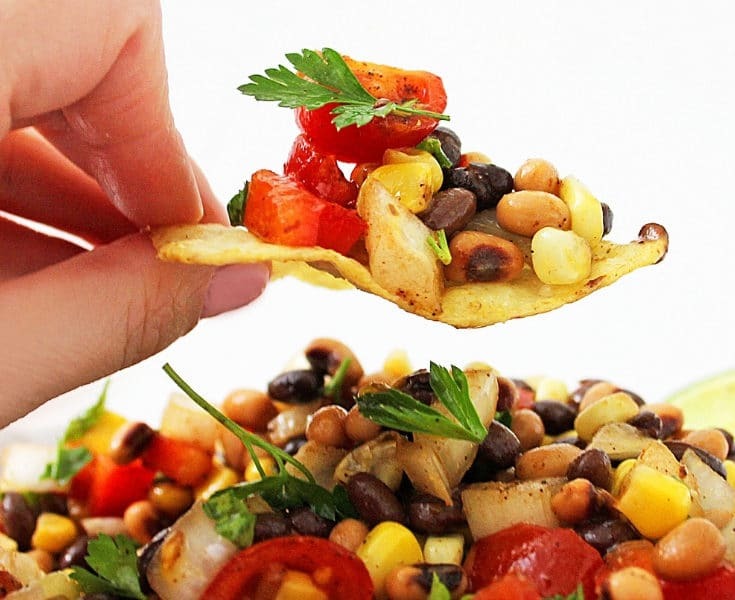 ), bake up a batch of these yummy treats. I LOVE cupcakes. Unicorn Cupcakes, Margarita Cupcakes, Easy Vanilla Cupcakes… I’ve never met a cupcake I didn’t like! These cupcakes are like chocolate volcanoes with heavenly caramel drizzle flowing down the ribbons of rich frosting like sweet, luxurious lava. Droooool. One look at these Chocolate Caramel Cupcakes and no one is passing on dessert. Honestly, they are like sirens, y’all. 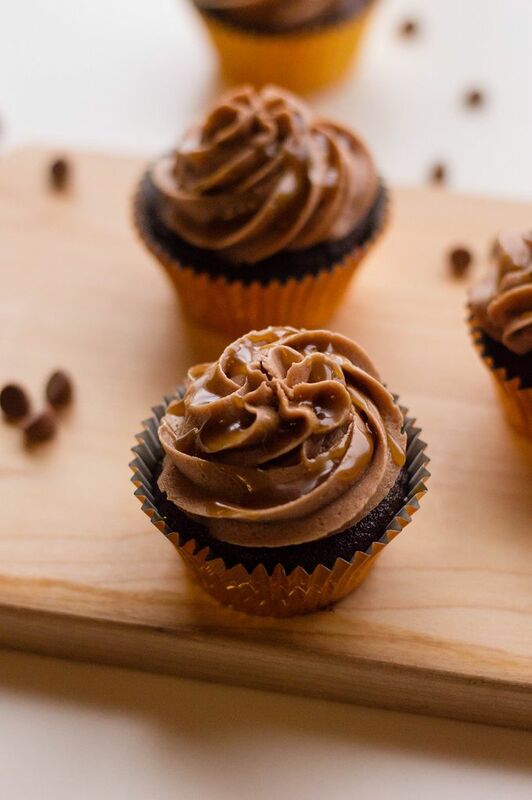 While it’s true that these Chocolate Caramel Cupcakes require a little more time in the kitchen than my easy boxed-mix cupcake recipes, this is still a simple, totally doable, from-scratch recipe. 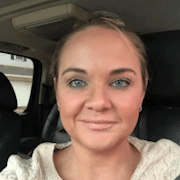 AND, you could easily break this recipe up into steps and make the cupcakes, frosting, and caramel drizzle at different times coming back to assemble them when you are ready. Speaking of assembling these, you know I’m not the most confident (cup)cake decorator. Don’t let that fancy swirl on top intimidate you! 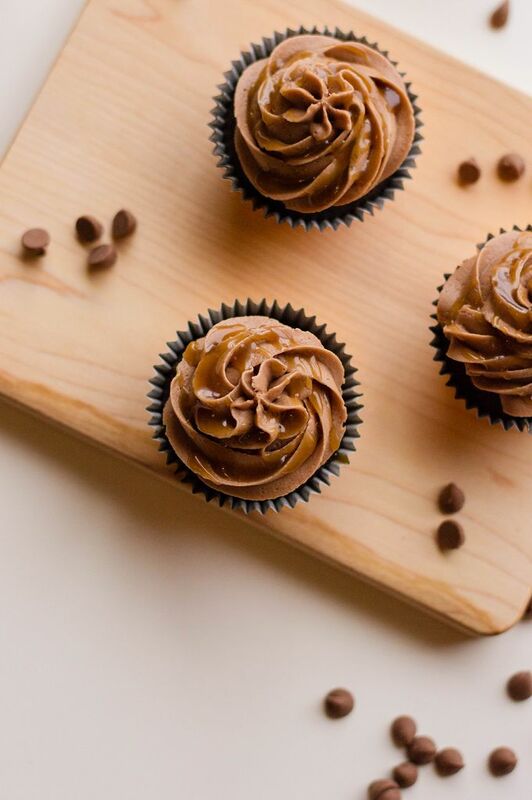 These Chocolate Caramel Cupcakes are easier to frost than you might think. It’s important that your cupcake top is shaped to catch all that luscious caramel drizzle, so I recommend using a 1M star piping tip to swirl on this thick, chocolatey frosting. Frosting Tip 1: For the love of all things good, cool your cupcakes completely before frosting them or your frosting will melt everywhere! Frosting Tip 2: If you’ve never used this (or any) frosting piping tip before, I’ve learned that you want to start in the middle of your Chocolate Caramel Cupcake top, steadily squeezing your pastry bag while circling out and then up to your desired height. It’s a fun thing to practice because if you screw it up you can scrape the frosting off the cupcake top or parchment paper and plop it back into the pastry bag with no harm and no waste! 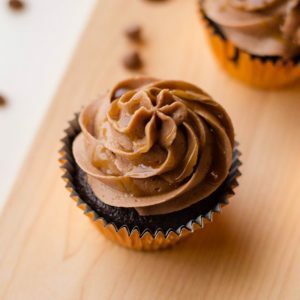 Frosting Tip 3: If you don’t have a pastry bag and piping tip, you can easily frost these Chocolate Caramel Cupcakes by hand in a way that catches all the caramel heaven that makes these babies look and taste YUM-tastic! 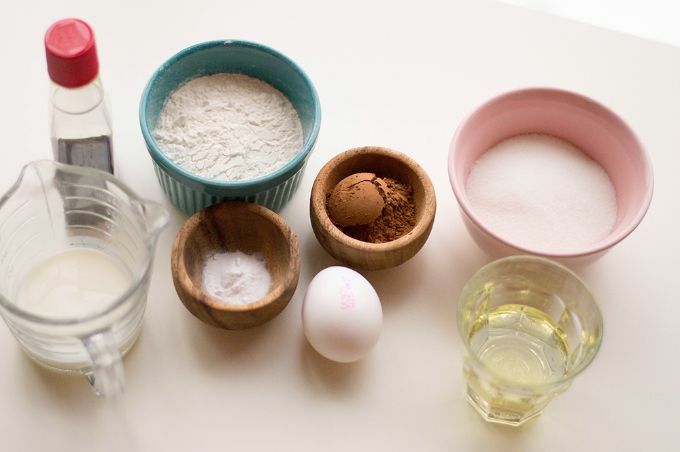 Simply drop a scoop of frosting atop the cupcake and then, using a small spatula, spreader, or spoon, depress the center of the frosting and swirl it out toward the edge. You want to create a sunken, swirly wading pool in the middle with a border of frosting around the edge so no caramel can escape! 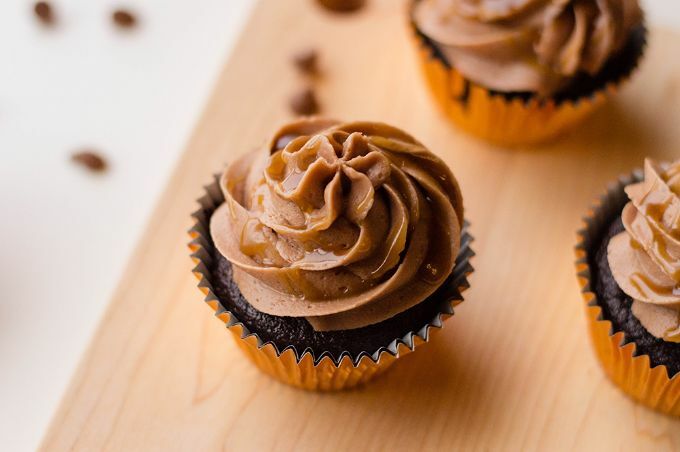 These Chocolate Caramel Cupcakes have a crowd-pleasing flavor combo and look like you have been taking classes from Betty Crocker herself, so get baking! 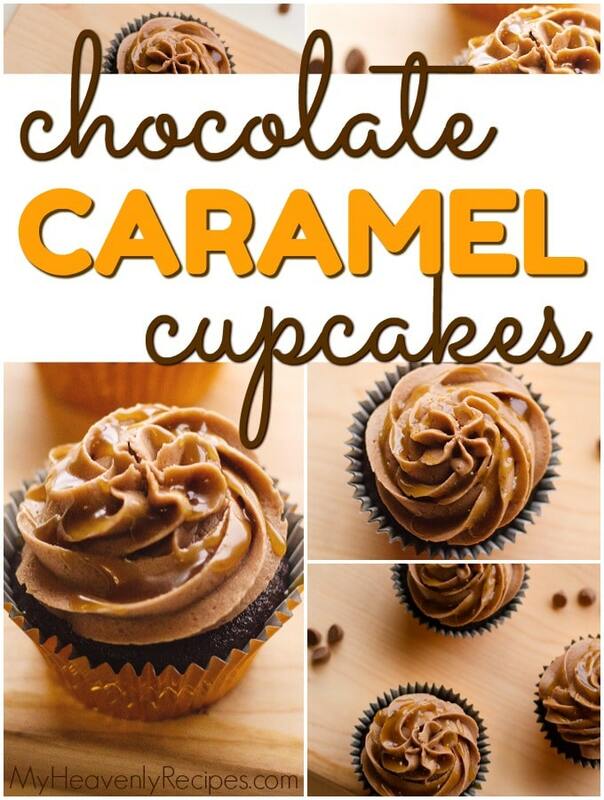 Follow that process and your Chocolate Caramel Cupcakes will be ready in no time. First, make the cupcakes. No store-bought cupcakes here! 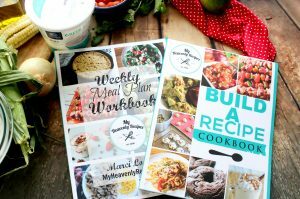 You’ll follow a simple cupcake recipe and bake your cupcakes for 12-15 minutes. Second, make the chocolate buttercream. 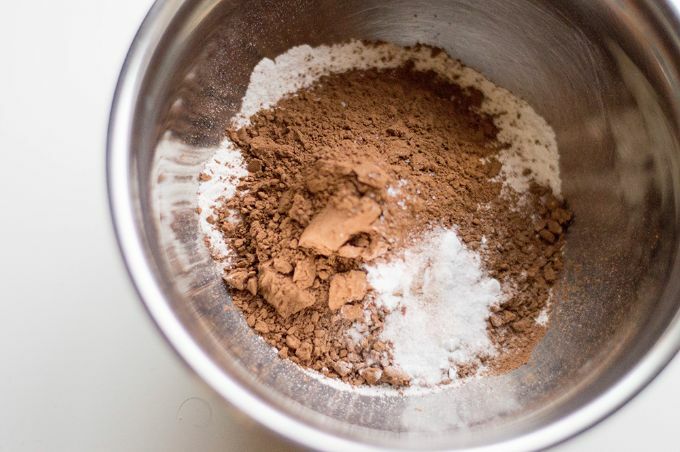 Using a stand mixer, you’ll quickly create the delicious chocolate buttercream (try not to eat it all out of the bowl!). Third, make the caramel drizzle. 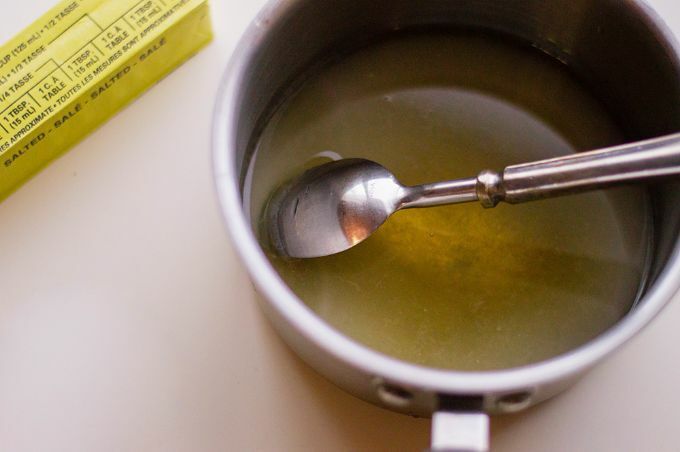 It’s easy to make using a small saucepan. Finally, assemble the cupcakes. The best part! Using a piping bag, pipe chocolate buttercream generously on chocolate cupcakes. 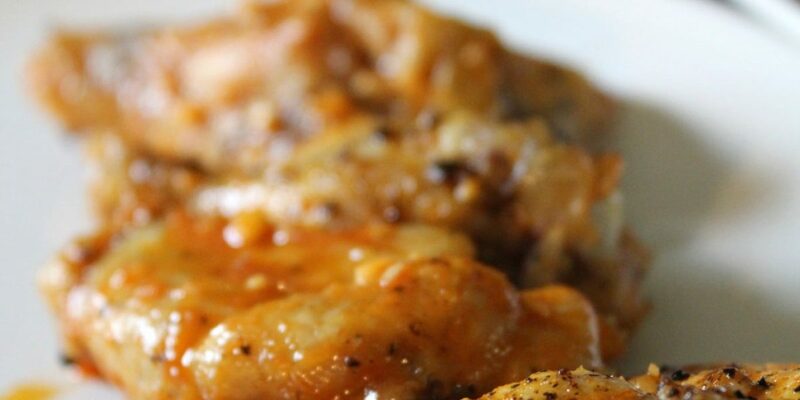 Drizzle with caramel and enjoy! I hope you love this decadent and sweet treat! 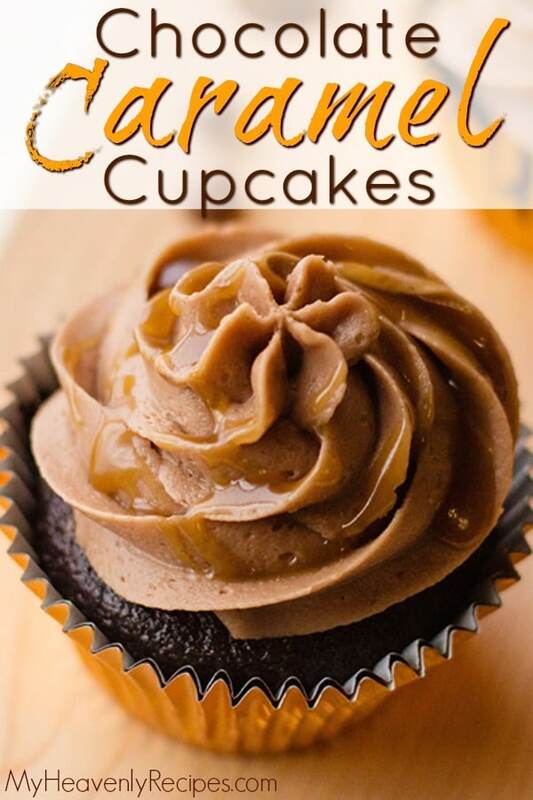 These Chocolate Caramel Cupcakes are rich and sweet treats! Once the butter cream starts to smoothen up, add cocoa powder. Add milk and/or powdered sugar if needed (if you want your butter cream to be more liquid and/or stiff). Using a piping bag, pipe chocolate buttercream generously on chocolate cupcakes. 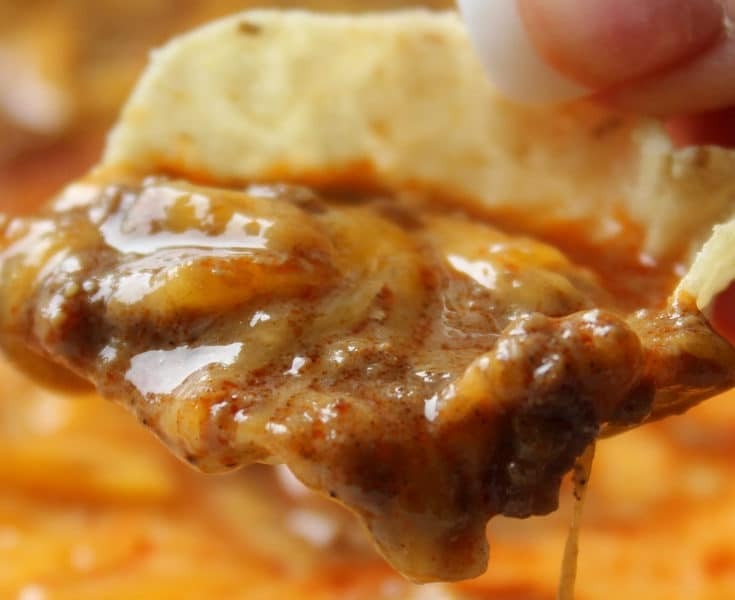 Drizzle with caramel and enjoy!